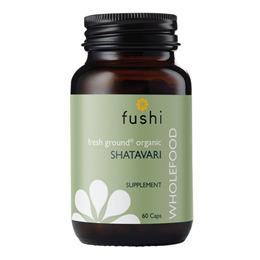 In the indigenous language, shatavari literally means 100 cures. It is widely used to treat numerous conditions, to stimulate the immune system and hormones, and may also support lung health. In Ayurveda and other traditional Indian healing practices, shatavari root is deeply respected for its healing properties but its powers are only now becoming understood in the West. The plant grows naturally in India and Nepal across the Himalayas, and in some parts of Africa and China. Also known as Indian asparagus, its extract is treasured for medicinal uses in non-Western traditions. Due to its relative scarcity and recent arrival in the West, it has not been studied very widely, but the science seems to suggest a steroidal effect, and hormonal boosts. It is also mildly anti-bacterial and thought to help gastric complaints. There is increasing anecdotal evidence of its positive effect on the libido for both men and women, and it may also assist women in mid and later life. Freshly Ground Asparagus Racemosus (Shatavari), Pullulan Capsules (Aureobasidium pullulans). 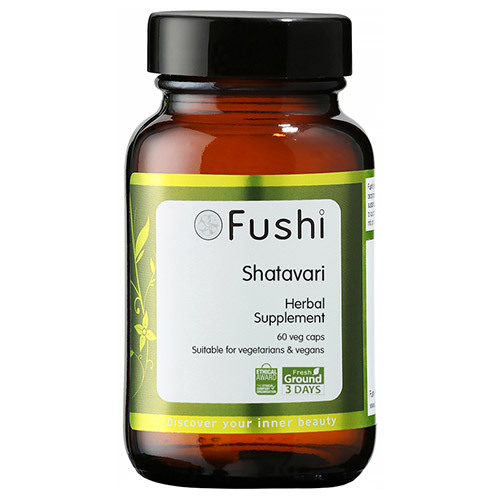 Below are reviews of Fushi Organic Shatavari - 60 Vegicaps by bodykind customers. If you have tried this product we'd love to hear what you think so please leave a review.